Earth Day was created more than 40 years ago by a Senator from Wisconsin who wanted to raise awareness about the impact human life has on our environment. Modern-day Earth Day seems to be mostly about humorous social media memes and T-shirts. While we aren’t discounting the power of harnessing trending topics for your PR efforts, Earth Day can be more meaningful for your employees, your customers and your brand. 1. People can’t support what they haven’t heard of. Most companies give back to their communities in some way. But the brands that really make a difference harness the power of their consumers. Ronald McDonald House used the social media might of fast-food giant McDonalds to heavily advertise donation boxes on counters and in drive-thrus all around the world. This enabled them to raise more than $25 million in change in a single year, and in turn provide shelter each day for more than 7,000 families with seriously ill children in nearby hospitals. With the marketing efforts of McDonald’s, their charity would serve a lot less children and the impact would be far less. 2. Consumers are searching for ways to help. By and large, humans are driven to help people less fortunate than themselves. They see photos of hungry kids and mistreated animals, hear about dying rainforests, or witness poverty in their own communities and they want to do something about it! But for an individual, it can be difficult to find ways to make a difference. Tom’s shoes came up with a new kind of business model – buy a pair of shoes (something you already need) – and we’ll donate a pair to someone else. This is a great way for people to feel involved in a bigger cause. No one faults the brand for advertising this strategy9Apps Download or making money off of it. They’re just happy to be part of it. 3. Publicizing green efforts makes you accountable. Once you’ve told consumers you intend to plant trees, donate money, contribute volunteers, or reduce emissions, you are duty-bound to do so. Brands who break promises to their audience quickly lose trust, loyalty and sales. So talking about your cause marketing is actually a great way to ensure that you follow through. Posting regular progress reports can be a great way to remain a part of the conversation and engage your customers in the cause you are support – as long you really do it! If you let Earth Day slide this year without giving back to the environment, remember that it is never too late to do the right thing. Consumers support brands that are actively involved in a cause. And there’s nothing wrong with talking about your efforts. 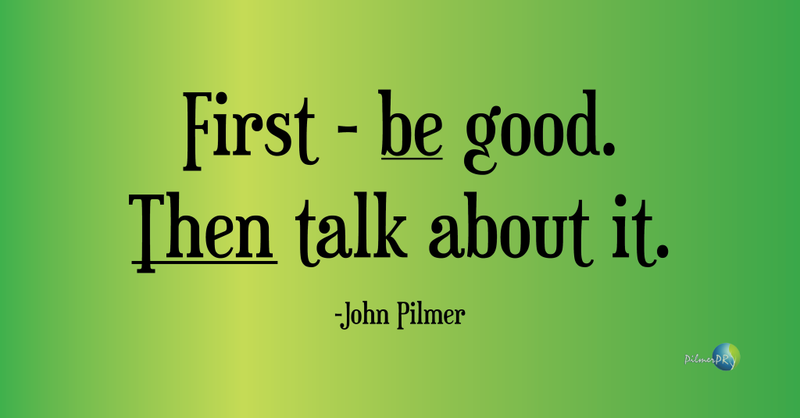 Just remember CEO John Pilmer’s favorite saying: “First BE good. THEN talk about it.” As long as you aren’t blowing smoke or exaggerating the facts, your audience will appreciate the work you’re doing and even want to become involved. Contact us to learn more about green marketing efforts and the impact your company can have on our Earth.